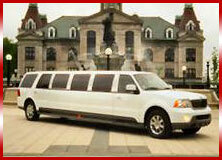 With so many limousine hire companies to choose from, it can be difficult to know which one to choose. 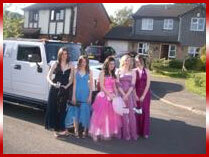 Well we are going to make the decision easy for you-choose Midlands Limo Hire. Why? Because we have the widest range of limousines available, at the most competitive prices and our level of customer service is second to none. Included in our fantastic range of limousines is the black C300 Baby Bentley. 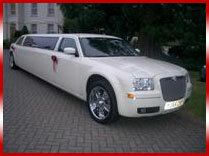 This is a beautiful looking limo that has been specifically kitted out with some amazing features. The C300 is second to none for comfort and ride quality. 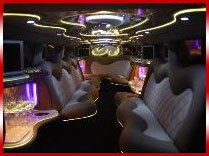 Hidden behind the tinted windows you will find luxurious leather seating, which is sumptous and amazingly comfortable. The audio visual equipment is high- end, which is typical of Bentley and the interior lighting can be adjusted to match your mood. From the exterior this is a limousine which has serious street credibility. 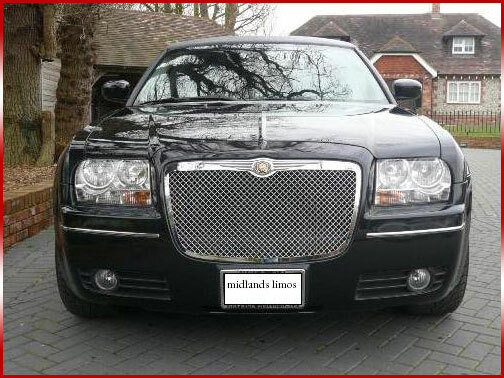 The 22” chrome alloys make a great contrast with the black bodywork, which makes this a limo to really catch your attention. The distinctive large chrome Bentley grill gives the C300 limousine a rugged, handsome look, which makes this a limousine of distinction. If you are looking for a limo that will give you and your friends the wow factor, then the C300 Baby Bentley is the limousine for you. 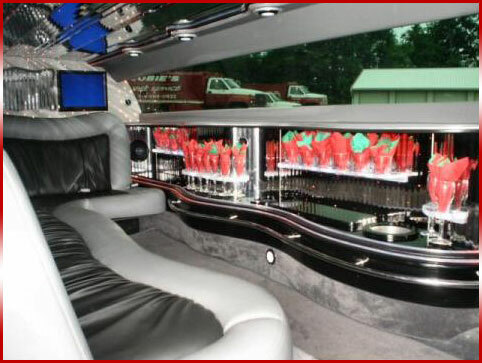 It doesn't matter what event you are planning, whether it is a prom night, stag party or even a day at the races, the C300 Baby Bentley is a limousine that will take you to your destination in comfort and style. When you turn up in a Baby Bentley you will get to experience the high life. So why not enhance any event by choosing the Baby Bentley limo as your choice of transport and see how it feels to be treated like a celebrity. Don't forget that we will stock the mini-bar with 6 bottles of bubbly completely free. 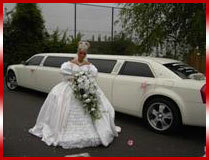 However, if you have any specific requirements, then please mention this when you reserve your limousine and we will do everything we can to accommodate your needs.